Appinfosol IT Services Pvt Ltd is a Ios app development company based in jodhpur,India & delivering custom and enterprise mobile solutions with high level of accuracy and efficiency across multiple platforms. We designs and develops Ios apps specific to iPhone according to client requirement. Appinfosol loves taking ideas and turning them into real apps. We are passionate, creative and have experience developing products as entrepreneurs. 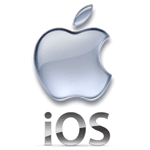 We provide complete support for iOS devices, Get your Apple ios mobile application or Mac app written, updated, ported, or debugged fast.